Gadgets industry enjoyed an unprecedented growth in the year 2013, thanks to the launch of hundreds of new gadgets by several tech giants like Apple, Google, and Microsoft. As the current year is all set to conclude, let's have a look at some of the top most influential gadgets of the year. 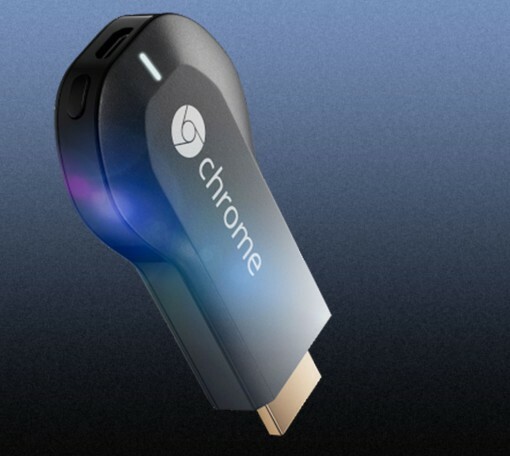 Chromecast: It made media & entertainment in the living room a lot easier even for common people. People can plug a small dongle-sized device into their television set's HDMI port and start streaming their favorite content or local files using a Google Chrome web browser. It is an acceptable argument that Chromecast is not better than many of its rivals; but what allows it to outshine others is its affordable price tag of just $35. The iPhone 5C: The launch of this cheaper version of widely popular iPhone allowed many more people to enjoy this piece of sophisticated technology that they were previously not able to afford. The plastic backed iPhone 5C offers all features that one can expected from a high-end smartphone. New game consoles: Microsoft's Xbox One and Sony's PlayStation 4 consoles have added a new paradigm to entertainment. Both consoles offer enhanced, next-level graphics and videogames along with various innovative entertainment & social features. Samsung's Galaxy Gear Smartwatch: South Korean electronics giant Samsung recently unveiled its smartwatch called Galaxy Gear, making the first feasible foray into the world of wearable technology. Meanwhile, Apple is also reportedly developing iWatch, a rival to the Galaxy Gear. Google Glass: This device is yet to release, but it has been creating significant ripples in the tech ocean since its announcement earlier this year. This device has the potential to turn the world into an augmented reality. It can replace smartphones and totally revamp the future of technology.